We had a visit from Mr. Alexander, a wildlife biologist for the State Dept. Of Land and Natural Resources visit the classroom. Since pueo is endemic, no live animals are allowed in captivity, so he brought in a stuffed one. Pueo is endemic to Hawaii. make their nest on the ground. Other owls make their nest in trees. Na Pueo is not nocturnal; they're diurnal. A pueo is endemic to Hawaii. Pueo is a smaller owl than the barn owl. Us people have to take care of Na Pueo. Extremely amazing the Na Pueos are to us and our islands. Oh Hawaii you can still see them fluttering through the sky. Pueos make their nest on the ground. Usually, owls look strange to us. Eeeek is a call of a pueo. Other owls like the pueos are endemic. Some owls are very special. Barn owls live in a barn. A barn owl's face is white like snow.Rain scares the owls. Night brings owls out. On barns there are plenty of owls. When it is night owls start hunting. Listen at night and you will hear, hoo hoo. Sleep at night and they will come out. When an owl hunts it flies down and grabs its prey with its claws. Little owls are usually pueos. Some owls lay their nests on the ground. Pueos are very special. Useful they are to our world for they eat rodents. 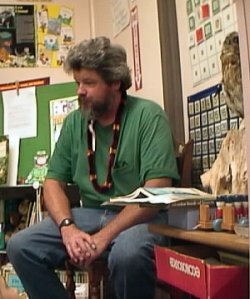 Endemic means it is only found in one place; Na Pueo is endemic to Maui. Other owls are nocturnal but the pueo is not. Some owls are very wise like the pueo. No people in America eat owls but maybe some do. In Maui there are two different kinds of owls. Gee, the Na Pueo is very cool. High the pueo soars looking for food. Terrific! They are Maui's bird of prey. Owls are birds of prey. Wild owls don't like humans. Little owls can be eaten by bigger owls. The Pueo hunts at late afternoon. Every night the pueo sleeps standing up facing forward. All pueo's lay their eggs in nests made on the ground. The pueo's favorite food is the brown mouse. Pueo is an owl found only in the state of Hawaii. It lives on the island of Maui. The pueo is feathery. It has all kinds of colors like, brown and white and black. The pueo is very delicate. You can not keep a pueo. 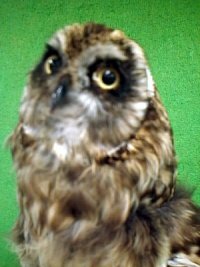 Pueos like all owls can be killed by eating rats and mice that have been poisoned. We studied the pueo. Some owls hunt at night like barn owls and other owls, they are nocturnal. But the pueos are diurnal, they hunt during the day. At night maybe you can see a barn owl hunting for rats or mice and catching them. Owls are really interesting. The pueo mothers make their cute nests on the ground. When the pueo eggs hatch the mother pueos teach their owlets to hunt, fly and maybe hide. Owls are birds of prey, like eagles. we can't own owls like pets we get from the pet store. It is still important to take care of them though. The pueos faces are round and the barn owls face is shaped like a heart. The Pueos make their nests on the ground. Pueos hunt at dusk and dawn and sometimes in the midday. As soon as mom pueos lay their eggs they sit on their eggs. Pueos have tufts on their body. The pueo can camouflage good at dusk and dawn. Pueos have circular discs on their faces. They have feathers all the way down to their toes. The pueos have very thin eyelashes. Pueo's are very special to us. The pueos are very cute and cuddly. Pueos are intelligent and soft. The pueos are endemic, they can smell and hear good. The pueo is active during the day, that means you call the Pueo diurnal. The pueo is a sneaky, fast owl. He can swallow a mouse in one gulp. The pueo has eight talons. The mom pueo will peck pieces of the mouse to feed her babies. 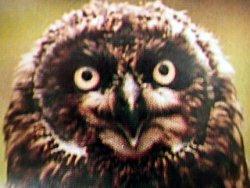 The pueo has a yellow outline (iris) around the pupil of it's eye. The pueo will grab it's prey while flying. Pueos are some of the smallest owls. The pueo regurgitates parts of it's prey that it does not need. The pueo has three eyelids. Pueos are birds of prey. They hunt mostly at dusk and dawn. Pueo is often confused with the barn owl. You can tell the difference because the barn owl has heart shaped facial discs. 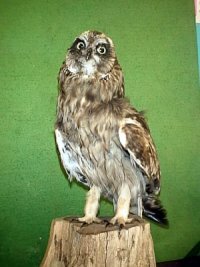 A pueo is a medium sized owl. A female pueo lays one egg at a time. It makes it's nest on the ground. The babies use a little tooth to get out of the egg. Their diet is rats and mice and other rodents. A pueo could eat a small rabbit too. A regular owl would hunt at night. Pueos hunt during the day and dusk and dawn. A pueo can't turn it's head all theway around, but they can turn their heads more than us. A pueo lays about six eggs each time they lay eggs. Pueos live only in Hawaii. You can't kill or hunt pueo because they are federally protected. There are about 134 different kinds of owls in the world! They live between and even at the deserts all the way to the Arctic tundra! Owls are very fascinating creatures. I like the Snowy Owl. It is about 24 inches or two feet. He lives in the Artic tundra. It is pretty obvious that he lives there because he is all white! Snowy Owls and Short Eared Owls have their babies on the ground. Some owls even go in wood pecker holes, where the wood pecker once lived. Baby owls can not fly when they first come out. At about six weeks they can fly and they go learn for themselves. Owls are smart so they just look for something that moves and they go eat it. Then the owl waits again. Owls and crows are enemies. Barn owls were bought here to Maui in 1958. They only brought them here to eat the rodents. A barn owls face is shaped like a heart. Pueo's are much more round and have much darker facial discs. Barn owls have huge wing spans., way bigger than a pueo's wingspan. Barn owls can be found mostly anywhere, except for most of Russia and all of Antarctica! If there is not so much food some babies might die! If they have food and the mother feeds them well they will live. Pueos can fly so far up they probably get sun burn. Both barn owls and pueos are good parents. They stay with their young until they can take care of themselves.